Hello! Im Bjorn, one of the developers here at Nobollel. I mainly work with Cocos2d-x along with the now defunct editor Cocos Studio, today i will be taking a quick look at the latest addition to the Cocos2d-x family, Cocos Creator. It also comes with a built in version of Cocos2d-x, so all you need to get started is to head over to the download page and select your OS. Those familiar with Cocos Studio won’t have a hard time getting used to the new editor. Cocos Creator looks and feels very similar, but with a few upgrades and tweaks here and there. For example, the new animation editor gives you better control over your animations, and allows you to separate different animation using Animation Clips rather than labeling keyframes. 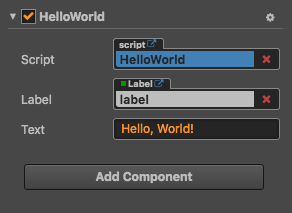 Another great addition is the ability to add components to your objects on the scene, by either drag and drop, or with the “Add Component” button at the bottom of the Properties panel. Like Unity, adding custom components to your objects allows you to add your own parameters to the object, allowing for easy tweaks without having to touch the code. Besides that, all your basic elements are still there, you have your sprites, buttons, progress bars and all that other good stuff you need for your levels and UI. The only things i find missing, as far as ui elements go, are checkboxes and sliders. Even though some features are still missing, from what I’ve seen so far I’m pleased with the upgrades from Cocos Studio, but keep in mind that Cocos Creator is still fairly new, and can sometimes behaves a bit funny, usually sorted with a quick restart. With that being said, I’m not sure if its suitable for larger project as of yet. However, the team seem to be working hard, pushing out new updates, and I’m sure with time it will be an awesome tool to work with, and i can definitely see myself using it in the future. While there are many similarities between the two, if you are a Unity developer interested in trying Cocos2d-x and Cocos Creator yourself, i suggest checking out the “Unity User Guide” over at the Cocos2d-x website. 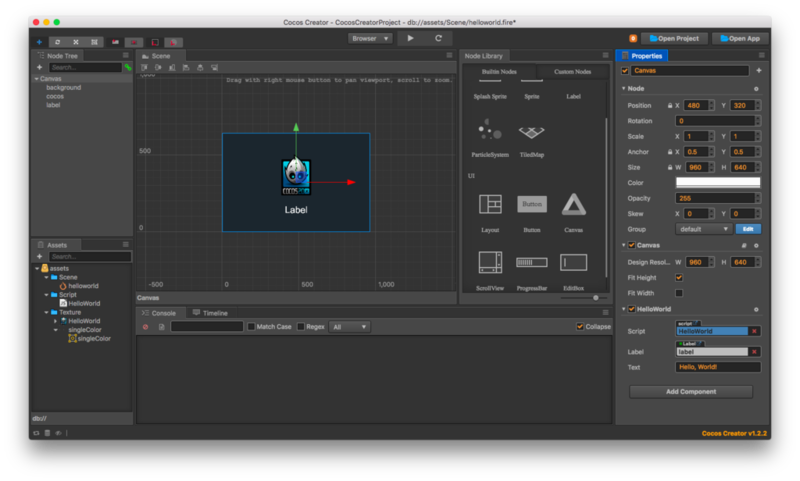 And for a more detailed guide on how to create your first game with Cocos Creator, check out the Quick Start Guide.